Davis, C. Amelia; and Olson, Joann S., eds. Abstract: This is the first New Directions volume related to young adult learners since 1984. Then, as now, young adults are an important segment of the adult population but have received scant attention in the adult education literature. Increasingly, youths and young adults are enrolling in adult education programs and in doing so are changing the meaning of adulthood. Given the significant demographic, technological, and cultural shifts during the past 30 years, there is an increasing need for practitioners and program planners to reconsider what constitutes “adult” and “adult education.” An understanding of the changing meaning of adulthood is fundamental to developing programs and policies that will address the needs of younger learners, and we believe it is time for an updated discussion among adult educators and scholars in other disciplines. This sourcebook is designed to reignite the discussion related to meeting the educational needs of young adults along with a timely and interdisciplinary discussion that highlights the transitional needs of young adult learners. 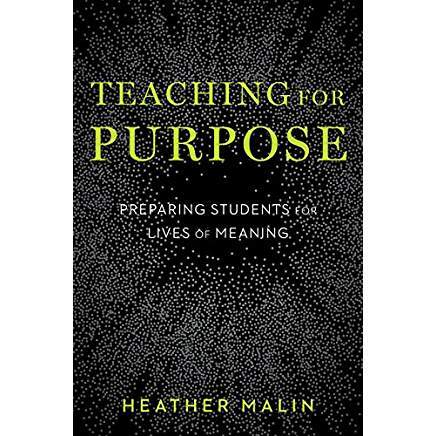 In Teaching for Purpose, Heather Malin explores the idea of purpose as the purpose of education and shows how educators can prepare youth to live intentional, fulfilling lives. 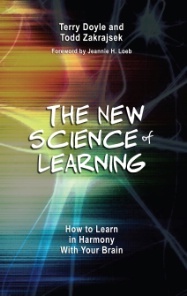 The book highlights the important role that purpose—defined as “a future-directed goal that is personally meaningful and aimed at contributing to something larger than the self”—plays in optimal youth development and in motivating students to promote the cognitive and noncognitive skills that teachers want to instill. Based on a decade of research conducted at the Stanford University Center on Adolescence, the book explores how educators and schools can promote purpose through attention to school culture, curriculum, project learning, service learning, and other opportunities. Malin argues for expansive thinking on the direction schools should take, especially in terms of educating students to be creative, innovative, and self-directed critical thinkers. The book includes profiles of six organizations working in schools across the US that have made purpose development a priority. Ch 1. What Is Your Purpose? The article is a response to this journal's call for papers on metaphors for teaching, and also draws from a previous publication in which Kent Eilers developed a methodology for teaching global theologies. In this methodology, the ultimate goal was the development of “hermeneutical dispositions of empathy, hospitality, and receptivity toward culturally diverse voices” (2014, 165). This article considers the goals of Eilers' methodology, and others like his, and how it is that the metaphors of “leaving home” and “communal imagination” highlight the importance of the ambient and interpersonal features of a classroom and their effect on the attainment of the above goals. In so doing, it extends the conversation beyond content and methodology in teaching theology and religion into the realms of philosophy of education, as well as the fields of moral and values education. It is contended that the metaphors informed by these areas of study facilitate the attainment of such goals, and similar ones, by demonstrating that the cultivation of an ambience of care, trust, and compassion within the classroom constitutes an essential foundation for learning in which students “leave home” and cultivate “communal imagination.” The article finishes with practical suggestions for educators in theology and religion. This essay describes a transformation in my experience as an adjunct teaching underprepared students from one of shame toward a desire to assert the value of this work. 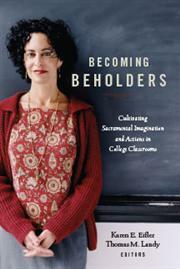 Insights from my feminist theological training helped me to affirm the importance of encouraging transformative learning in teaching the academically marginalized and prompted my analysis of student writing in an introductory World Religions course, in order to determine whether or not the course was a site of transformative learning. I argue that despite many contextual limitations, the movement toward deepening self-awareness and increasing openness to religious diversity seen in student writing demonstrates that transformative learning began in this course, and that is valuable for students' lives whether or not they are academically successful. In 2008, Ramsey Musallam was stuck in what he describes as an ineffective rut of "pseudoteaching." Students liked him, but they didn't get the point of his lessons. They did well enough on the tests, but they failed to really understand the material. He wanted more--for them and for himself. Maybe you can relate. More from Dave Burgess Consulting, Inc.
ch. 1	Young Adulthood in a Changing World: Promise and Vulnerability. ch. 2	Meaning and Faith. ch. 3	Becoming at Home in the Universe. ch. 4	It Matters How We Think. ch. 5	It All DepAnds . . . . On Belonging. ch. 6	Imagination: The Power of Adult Faith. ch. 7	The Gifts of a Mentoring Environment. ch. 9	Culture as Mentor. Recent advances in brain science show that most students’ learning strategies are highly inefficient, ineffective or just plain wrong. While all learning requires effort, better learning does not require more effort, but rather effectively aligning how the brain naturally learns with the demands of your studies. This book shows you what is involved in learning new material, how the human brain processes new information, and what it takes for that information to stick with you even after the test. Taking a small amount of time to read and act upon the material in this book will prove to be one of the best decisions you can make as a learner. What you discover will change the way you learn in college and will be helpful in your personal and professional life. You live in a world where you will have to be a lifelong learner, constantly updating your skills and changing jobs to compete in the global marketplace. Most college students today will have as many as 10-14 different jobs by age 38. Learning how to learn in harmony with your brain is crucial to your long-term success. 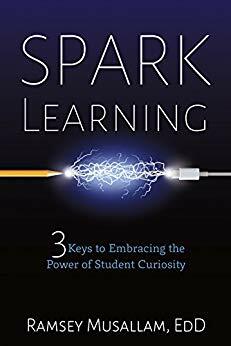 This succinct book explains straightforward strategies for changing how you prepare to learn, engage with your course material, and set about improving recall of newly learned material whenever you need it. This is not another book about study skills and time management strategies, but instead an easy-to-read description of the research about how the human brain learns in a way that you can put into practice right away. Instructors’ attentiveness to the intellectual, social, emotional, and physical environments creates a classroom climate conducive to student engagement with the content and skills of the discipline. Responding To Distressed Students Extensive list of topics, prepared for UC Santa Barbara teaching assistants, with do’s and don’ts in responding to student issues such as anxiety, hazing, depression, eating disorders. Aimed at students, this site is a user-friendly bulleted list of briefly treated topics, all related to college study skills and how to learn. Eifler, Karen E.; and Landy, Thomas M., eds. 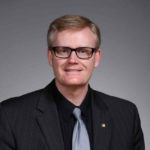 Abstract: Catholic colleges and universities have long engaged in conversation about how to fulfill their mission in creative ways across the curriculum. The "sacramental vision" of Catholic higher education posits that God is made manifest in the study of all disciplines. ch. 8 Stumbling toward Grace: Meditations on Communion and Community in the Writing Classroom (Anne E. Green)Hello - Thanks for providing your street address. The book will be mailed today. "Vanishing Boundaries: When Teaching About Religion Becomes Spiritual Guidance in the Classroom"
This article revisits the pedagogical dilemma of maintaining neutrality in the religious studies/theology classroom. I argue that if the boundary between teaching about religion and actually teaching spirituality seems to be vanishing, it is because the boundary was inappropriately constructed in the first place. To the extent that the religious concepts, even when compressed into religious studies categories, inherently inspire personal transformation, how can a boundary exist between the ideas students encounter and the power of those ideas to transform? Spiritual guidance emerges naturally in the academic study of religion, and those of us who teach in the field might as well get used to it. In explaining my position, I draw on my experience as a teaching assistant in Professor Walter Capps's course, "Religion and the Impact of the Vietnam War." I, then, develop a pragmatic teaching strategy, neutral enthusiasm, which preserves the important neutrality of classroom presentation in religious studies courses, yet recognizes the unavoidable evocative power present in the intellectual territory that is religion. Neutral enthusiasm allows the content to do the work. Reviews research and explains several concrete best practices on how to motivate students. Idea Paper no. 1, from the series developed by the Center for Faculty Evaluation and Development, Kansas State University. "Threshold concepts" is a concept term gives a name to points in new learning that mark a departure from old ways of viewing the world and entrance into new ways that may be counterintuitive and thus upsetting ("troublesome knowledge") and yet they are ways that must be grasped in order to go forward in learning. The discovery that students don't love the new teacher's content area is one of those school of hard knock lessons. Personal reflection on the importance of informal moments in the education of students, and the implications for our metaphor of teaching. When students ask for studying advice, what should we tell them? The story is a familiar one across college campuses:students stay up late into the night cramming weeks’ worth of material into one study session before the big exam, only to forget the material as soon as the exam is over. "Social Vision and Moral Courage: Mentoring a New Generation"
"Echo's Lament: Teaching, Mentoring, and the Danger of Narcissistic Pedagogy"
In this essay, I explore "narcissistic pedagogy," a pedagogy that centers disproportionately on the needs of the teacher – especially the need for admiration. I engage psychological discussions of narcissistic patterns, and I retell the ancient myth of Narcissus. The core of narcissistic pedagogy is that the teacher experiences students not as centers of their own activity but as part of the teacher's self. All educational situations are vulnerable to narcissistic dynamics, and I will consider strongly narcissistic pedagogy as well as milder narcissistic dangers. I will, additionally, explore healthy narcissism. I pose "conversational education" as an alternative to narcissistic patterns. "Rethinking the Educational Practices of Biblical Doctoral Studies"
The paper explores the impact of the change in populations, the impact of electronic communication, and the multiplicity of methodological approaches on the ethos and practices of biblical studies. It proposes a rhetorical emancipatory educational paradigm and explores its possibilities for the professional education of biblical scholars on the doctoral level. Since both college and seminary teachers are shaped in and through their doctoral studies, it is necessary to focus on doctoral education in order to address the growing recognition that the discipline of biblical studies in its present form needs to cultivate transformative intellectuals who are not only at home in the academy but also can critically intervene in the public discourses and uses of the Bible in religious communities, democratic publics, or global inter-religious relations. 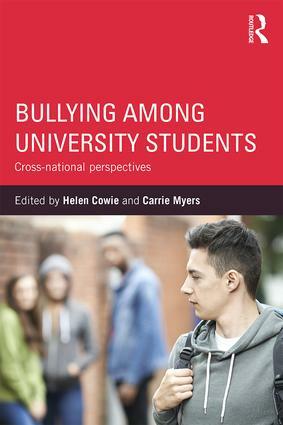 Cowie, Helen; and Myers, Carrie Anne, eds. Abstract: Bullying Amongst University Students is a pioneering collection of knowledge and evidence exploring the under-researched phenomenon of bullying in universities. Abusive behaviour amongst young people is a serious and pervasive problem that is exacerbated by the rapid advances in electronic communication, and in this book the authors highlight the problem and proceed to facilitate new practices and policies to address it. Abstract: What are the barriers and obstacles to adults learning? What makes the process of adult learning so fragile? And what exactly do we mean by fragile learning? This book addresses these questions in two ways. In Part One, it looks at challenges to learning, examining issues such as language invention in a maximum security prison, geography and bad technology, and pedagogic fragility in Higher Education. 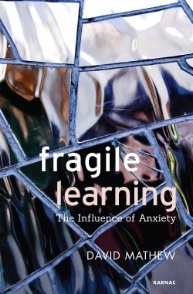 Through a psychoanalytic lens, Fragile Learning examines authorial illness and the process of slow recovery as a tool for reflective learning, and explores ethical issues in problem-based learning. Schoem, David; Modey, Christine; St. John, Edward P., eds. Teaching the Whole Student is a compendium of engaged teaching approaches by faculty across disciplines. 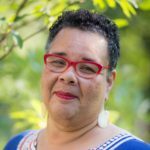 These inspiring authors offer models for instructors who care deeply about their students, respect and recognize students’ social identities and lived experiences, and are interested in creating community and environments of openness and trust to foster deep-learning, academic success, and meaning-making. The authors in this volume stretch the boundaries of academic learning and the classroom experience by seeking to identify the space between subject matter and a student's core values and prior knowledge. They work to find the interconnectedness of knowledge, understanding, meaning, inquiry and truth. They appreciate that students bring their full lives and experiences—their heart and spirit—into the classroom just as they bring their minds and intellectual inquiry. These approaches contribute to student learning and the core academic purposes of higher education, help students find meaning and purpose in their lives, and help strengthen our diverse democracy through students’ active participation and leadership in civic life. They also have a demonstrated impact on critical and analytical thinking, student retention and academic success, personal well-being, commitments to civic engagement, diversity, and social justice. Members of these groups systematically experience conditions in their lives that result in chronic stress and, therefore, decreased physical and mental health and social and economic opportunity. The costs of the many kinds of scarcity in their lives – money, health, respect, safety, affirmation, choices, belonging – is seriously reduced “mental bandwidth,” the cognitive and emotional resources needed to deal with making good decisions, learning, healthy relationships, and more. People who are operating with depleted mental bandwidth are less able to succeed in school, starting in childhood, and are much less likely to make it to college. For those who do make it, their bandwidth capacity often interferes with learning, and therefore, persisting and graduating from college. 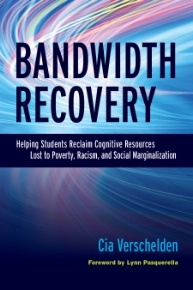 This book presents variety of evidence-based interventions that have been shown, through implementation in high schools and colleges, to help students to regain bandwidth. They are variously intended for application inside and outside the classroom and address not only cognitive processes but also social-psychological, non-cognitive factors that are relevant to the college environment as a whole. Beginning with an analysis of the impacts on mental and physical health and cognitive capacity, of poverty, racism, and other forms of social marginalization, Cia Verschelden presents strategies for promoting a growth mindset and self-efficacy, for developing supports that build upon students’ values and prior knowledge and for creating learning environments both in and out of the classroom so students can feel a sense of belonging and community. She addresses issues of stereotyping and exclusion and discusses institutional structures and processes that create identity-safe rather than identity-threat learning environment. "'Can We Talk? ': Boundary Crossing and Sexual Misconduct in Seminary Teaching"
This article explores a variety of personal and professional boundary issues encountered by seminary faculty. 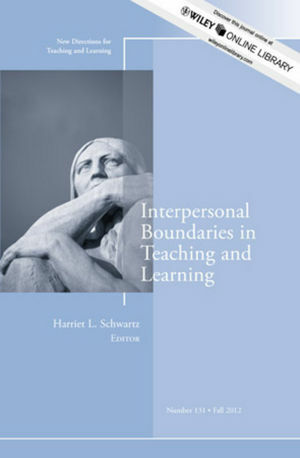 The authors contend that boundary crossing is inevitable in contemporary theological education, which is structured such that professors engage in multiple roles with students as they attend to the education of the whole person. Guidelines are reviewed for minimizing risk to students and professors. Topics include life as a community member, student-faculty friendship, and romantic relationships. Attention to work/life balance is seen as critical to the prevention of misconduct. The article ends with a call for continued conversation as well as institutional accountability and change. Abstract: Scholars examining how women and people of color advance in academia invariably cite mentorship as one of the most important factors in facilitating student and faculty success. - evidence for policy makers about what works in the development of supportive and nurturing higher education learning environments. The guiding principles underlying successful mentorships, interpersonally and programmatically, presented here can have the potential to transform higher education to better serve the needs of all its members. Informed by the literature and professional practice, this chapter examines the unique mentoring challenges facing women and underrepresented minorities in higher education. Findings indicate that traditional mentoring approaches fall short in fully supporting the needs of underrepresented populations in higher education. While many cite the importance of having a mentor, focusing on the quality and nature of specific interactions between students and faculty can lead to better strategies promoting student agency. This chapter presents narratives from students who work with the same mentor, focusing on their interactions and how they shaped students’ experiences and outcomes. This chapter outlines critical practices that emerged from utilizing social justice frameworks to mentor first-generation, underrepresented minority students at the undergraduate to doctoral levels. The mentoring strategies include helping students to reframe instances when faculty and peers unconsciously conflate academic rigor with color-blind scholarship. This chapter chronicles the use of educational testimonio as one approach to critical pedagogy as mentoring in a college classroom. 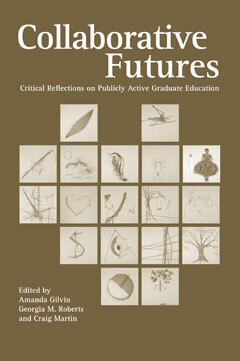 Written from the perspectives of an instructor and a student, it explores educational testimonio as one tool that has implications beyond the classroom, including retention in higher education and supporting the development of aspirations beyond undergraduate schools on the path to the professoriate. This chapter presents an assistant professor’s scholarly personal narrative at the precipice of promotion, and reveals how the feral child metaphor might aptly describe many junior professors’ experiences as they navigate a path toward tenure. 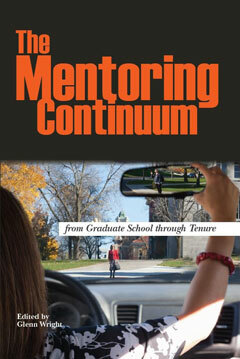 This chronicling of mentorship in sometimes unexpected venues may aid new faculty and those invested in their success in both earning tenure and retaining them in the field. This chapter outlines the psychosocial aspects of mentoring that help women combat the barriers they commonly face in science, technology, engineering, and mathematics (STEM). The authors describe the CareerWISE online resilience training and how it can address the shortage of effective mentors and role models who have been shown to increase the persistence of women in STEM fields. This chapter describes how sustained mentoring together with rigorous collaborative learning and community building contributed to successful mathematical research and individual growth in the Applied Mathematical Sciences Summer Institute (AMSSI), a program that focused on women, underrepresented minorities, and individuals from small teaching institutions who might not have had the opportunity to do research otherwise. 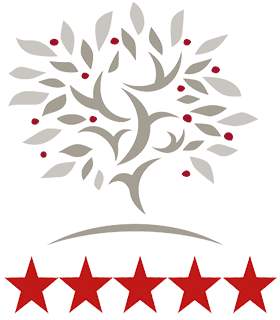 The collective learning and developmental experiences of AMSSI’s cofounders as students, teaching assistants, and faculty in other research programs, together with their humble upbringings and cultural histories, are what define the unique structure and mentoring blueprint of AMSSI. 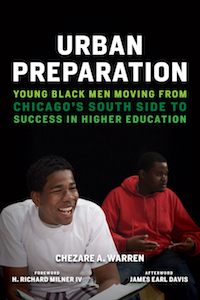 This chapter highlights the development of Project MALES (Mentoring to Achieve Latino Educational Success). At the center of Project MALES is a mentoring program that aims to cultivate an engaged support network for males of color at the University of Texas at Austin and across surrounding communities. Specifically, there is a discussion of the theories and framework that guided the creation of this mentoring program and its ongoing development. As an alternative to typical top-down mentoring models, the authors advance a conception of peer mentoring that is based on research about collectivist strategies that Latina faculty employ to navigate the academy. 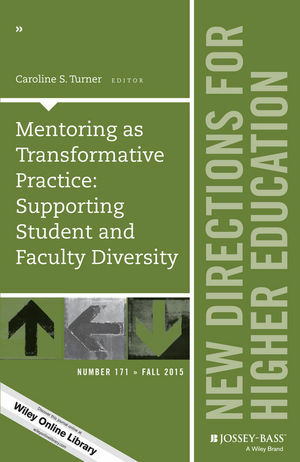 The authors advance recommendations for institutional agents to support mentoring for faculty who are members of historically underrepresented groups. This study utilizes a multivocal narrative approach to analyze the dynamics, accomplishments, and challenges of an interdisciplinary doctoral support group consisting primarily of female members. The authors raise issues of power, alliance, troubling expert-novice models of mentoring, and the role of social justice pedagogy in the group. A clearinghouse with a wealth of publications dealing with undergraduate research and related areas: curriculum, pedagogy, mentoring, program development, and more. 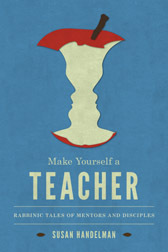 National Jewish Book Award finalist in Contemporary Jewish Life and Practice category Make Yourself a Teacher is a teaching book and a book about teaching. It discusses three dramatic, well-known stories about the student and teacher Rabbi Eliezer ben Hyrcanus from the Oral Torah. 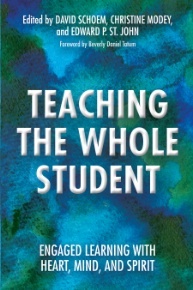 The stories of R. Eliezer serve as teaching texts and models for reflection on the teacher/student relationship in the Jewish tradition and in contemporary culture, with special emphasis on the hevruta mode of Jewish learning, a collaborative process that invites the reader into a dialogue with teachers past and present. Susan Handelman considers how teacher/student relations sustain and renew the Jewish tradition, especially during troubled times. As a commentary on historical and contemporary educational practices, she asks a range of questions about teaching and learning: What is it that teachers do when they teach? How do knowledge, spirituality, and education relate? What might Jewish models of study and commentary say about how we teach and learn today? Handelman not only presents pedagogical issues that remain controversial in today's debates on education but she also brings the stories themselves to life. Through her readings, the stories beckon us to sit among the sages and be their students. "I Only Want the Piece Which Is in Your Mouth"
Abstract: Grounded in current research and practical experience, Student Learning in College Residence Halls: What Works, What Doesn't, and Why shows how to structure the peer environment in residence halls to advance student learning. Focusing on the application of student learning principles, the book examines how neurobiological and psychosocial development influences how students learn in residence halls. The book is filled with examples, useful strategies, practical advice, and best practices for building community and shaping residential environments that produce measureable learning outcomes. Readers will find models for a curriculum-based approach to programming and for developing student staff competencies, as well as an analysis of what types of residential experiences influence student learning. An examination of how to assess student learning in residence halls and of the challenges residence halls face provide readers with insight into how to strategically plan for the future of residence halls as learning centers. The lack of recent literature on student learning in college residence halls belies the changes that have taken place. More traditional-age students are enrolled in college than ever before, and universities are building more residence halls to meet the increased demand for student housing. 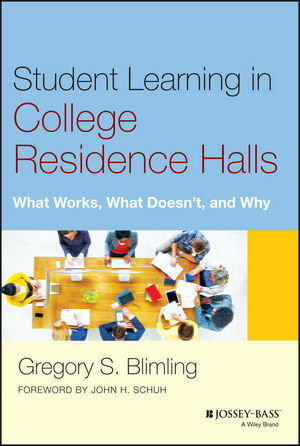 This book addresses these developments, reviews contemporary research, and provides up-to-date advice for creating residence hall environments that achieve educationally purposeful outcomes. How Can I Balance Friendly And Strict? Some advice from students on striking the right balance between friendly and strict. DeMeulenaere, Eric J.; Cann, Colette N.; McDermott, James E.; and Maline, Chad R.
Professors articulate appropriate classroom participation practices. The ARCS model of motivational design consists of a set of categories of motivational concepts and strategies that are derived from a synthesis of the research on human motivation combined with a review of successful motivational practices. This website provides an overview of the model and cites further research.ARCS stands for attention, relevance, confidence, and satisfaction. Video. A short video summarizing some of the most important characteristics of students today - how they learn, what they need to learn, their goals, hopes, dreams, what their lives will be like, and what kinds of changes they will experience in their lifetime. Created by Michael Wesch in collaboration with 200 students at Kansas State University. Mentoring is an important but often overlooked resource in theological education and students' academic and spiritual formation. This essay profiles the mentoring practices and postures of the writing tutor and the spiritual director as exemplars of academic and spiritual mentoring. An extended probe of this analogy affirms the integration of academic and spiritual formation as a core value in theological education; identifies mentoring in theological education as a hidden treasure fostering this integration and warranting attention as a theological practice; and re-envisions the theological practice of mentoring under the traditional rubric of the “care of souls,” embracing the relational, educational, formational, spiritual, and rhetorical dimensions of this practice. "The Idea of the PhD: The Doctorate in the Twenty-First Century Imagination (Chapter 3)"
How is PhD pedagogy conceptualised in contemporary discourse? Doctoral pedagogy is usually figured as supervision, often, in particular in literature and popular culture, in the traditional dyadic form. Like other kinds of teachers, supervisors seem to hold a fascination, particularly for writers of novels and television dramas. In research literature, the attention garnered by supervision stems from another goal, a sense of needing to be more reflexive about it as a form teaching, usually by showing supervision at work through transcripts of supervisory meetings or through student and supervisor accounts of their experience of supervision. This examination of what is (or was) essentially a private form of teaching has operated in tandem with an increased scrutiny on supervision by institutions, as articulated in institutional policies, and a fostering of self-induced scrutiny through manuals on supervision. Both of these trends are suggestive of a perception at the end of the twentieth century, aided by studies showing high attrition rates and lengthy times to submission, that supervision was often not going well. Video. Four extended video presentations, from the Merlot Elixer Initiative, showing faculty in various disciplines (NOT in religion or theology) addressing the issue of how to foster students’ abilities to integrate learning–over time, across courses, and between academic, personal, and community life. Video. Extended video presentations, from the Merlot Elixer Initiative, illustrating exemplary practices for developing students understanding, attitudes and capabilities for academic integrity. Motivation and Diversity: A Framework for Teaching. Student Motivation and Epistemological Beliefs (Michael B. Paulsen & Kenneth A. Feldman). Motivation for Higher-Order Learning (Janet G. Donald). Using the ARCS Motivational Process in Computer-Based Instruction and Distance Education (John M. Keller). CORE Elements of Student Motivation in Problem-Based Learning (Marjorie M. MacKinnon). Faculty Motivation: The Role of Supportive Teaching Culture (Kenneth A. Feldman & Michael B. Paulsen). Motivation in Interdisciplinary Programs (Edward B. Nuhfer). Institutional Improvement and Motivated Faculty: A Case Study (Donald W. Farmer). First Shards: The Search for Meaning as a Motive for Learning. Mentors, Myths, and Metamorphosis: Education as a Transformational Journey. Maps of Transformation: How Adults Change and Develop. The Deep and Savage Way: The Unsettling First Steps of an Educational Journey. The Dynamic of Transformation: How Learning Changes the Learner. Returning Home: Helping Adults Integrate New Insights. The Ecology of Adult Learning: Barriers and Incentives to Learning and Growth. The Yoda Factor: Guiding Adults Through Difficult Transitions. The Art of the Mentor: Limits and Possibilities. 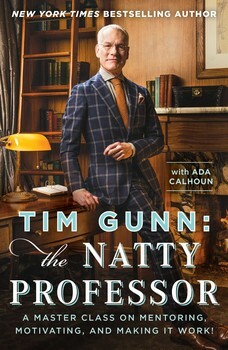 Abstract: A timeless book of lessons on mentorship, teaching, and learning from New York Times bestselling author Tim Gunn, host of the Emmy Award–nominated Project Runway and the reality show Under the Gunn. Tim Gunn, America’s favorite reality TV cohost, is known for his kind but firm approach in providing wisdom, guidance, and support to the scores of design hopefuls on Project Runway. Having begun his fashion career as a teacher at Parsons The New School for Design, Tim knows more than a thing or two about mentorship and how to convey invaluable pearls of wisdom in an approachable, accessible manner. Gilvin, Amanda; Roberts, Georgia M.; and Martin, Craig, eds. Nearly a hundred or more citations on the issue of students and plagiarism, especially with international students, compiled by Rebecca Moore Howard, Professor of Writing and Rhetoric at Syracuse University, and specialist in "authorship studies." Student-faculty partnerships is an innovation that is gaining traction on campuses across the country. There are few established models in this new endeavor, however. 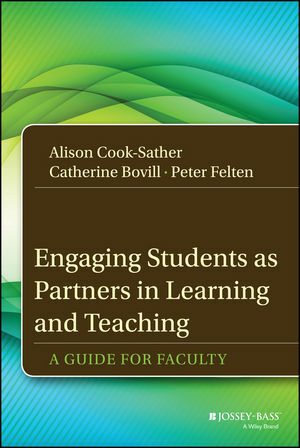 Engaging Students as Partners in Learning and Teaching: A Guide for Faculty offers administrators, faculty, and students both the theoretical grounding and practical guidelines needed to develop student-faculty partnerships that affirm and improve teaching and learning in higher education. ch. 10 Next Steps . . . Toward a Partnership Movement? Reinarz, Alice G. and Eric R. White, eds. 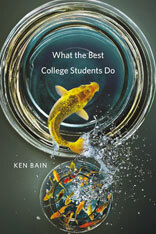 The author of the best-selling What the Best College Teachers Do is back with more humane, doable, and inspiring help, this time for students who want to get the most out of college—and every other educational enterprise, too. The first thing they should do? Think beyond the transcript. The creative, successful people profiled in this book—college graduates who went on to change the world we live in—aimed higher than straight A’s. They used their four years to cultivate habits of thought that would enable them to grow and adapt throughout their lives. ch. 2 What Makes an Expert? Tips for enhancing the advising relationship by encouraging student responsibility and participation – without “intruding” or being overbearing. The research on teaching and learning indicates that a student’s personal interaction with an instructor is one of the most important factors affecting his college experience. Office hours can be one of the places where a meaningful exchange of ideas occurs and individual interactions can be fostered. Reviews briefly the scope of duties, effective strategies, and necessary skills to achieve effective advising beyond a perfunctory “signatory function.” Includes a brief list of references. Idea Paper no. 3, from the series developed by the Center for faculty Evaluation and development, Kansas State University. Whether you are a professor, instructor, or graduate student, many students will look up to you. At times, you may find yourself in the position of counseling a student about matters beyond the scope of your official academic relationship. Advice for students on best practices for effective learning and good grades. Advice for students, that recording, prioritizing, analyzing, and scheduling your assignments will help you perform better (with less stress) and maximize your learning. Advice for students to get more out of reading: prepare yourself BEFORE your read, demand understanding DURING reading, and be transformed by your learning AFTER you read. Advice for students on the importance of life-long learning and some things to do to become a better learner now and throughout life. º Supervising postgraduates in the arts, social sciences and sciences.